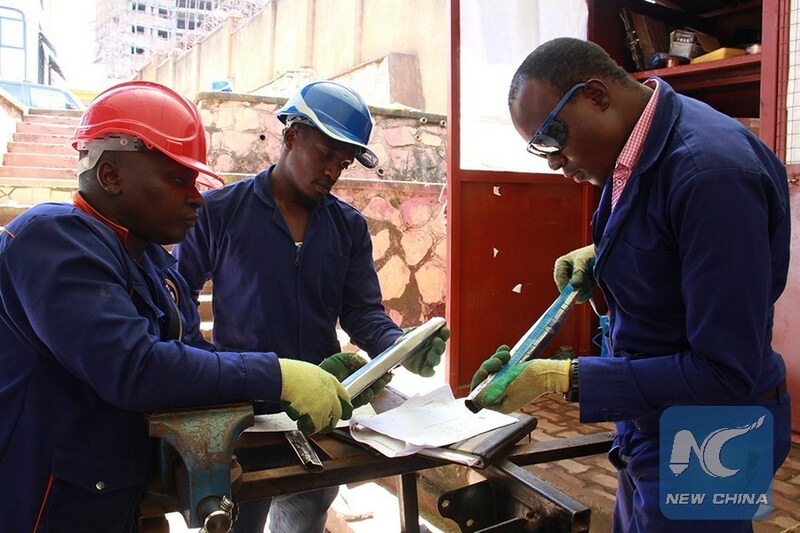 KAMPALA, April 16 (Xinhua) -- What started as extra-curricular work at Uganda's top university has evolved into a potential automotive industry that could revolutionize the country's economy. Uganda is now putting emphasis on developing an automotive industry after students and their professors at Makerere University proved that it is possible. 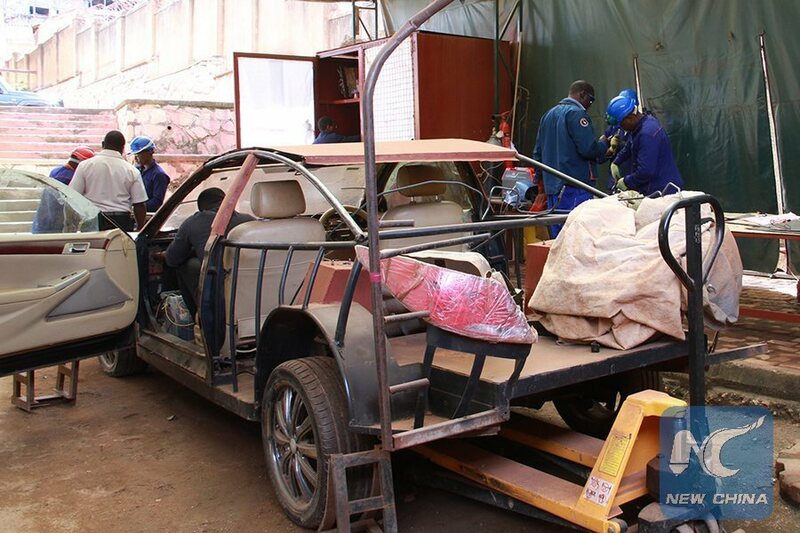 The Ugandan students designed and assembled an electric vehicle that was launched in 2011. The government picked interest and started financing the project. The project was then transformed into a state-owned company Kiira Motors Corporation (KMC). Since then, the company has produced what could be Africa's first hybrid car and solar powered bus, though they are still at prototype stage. 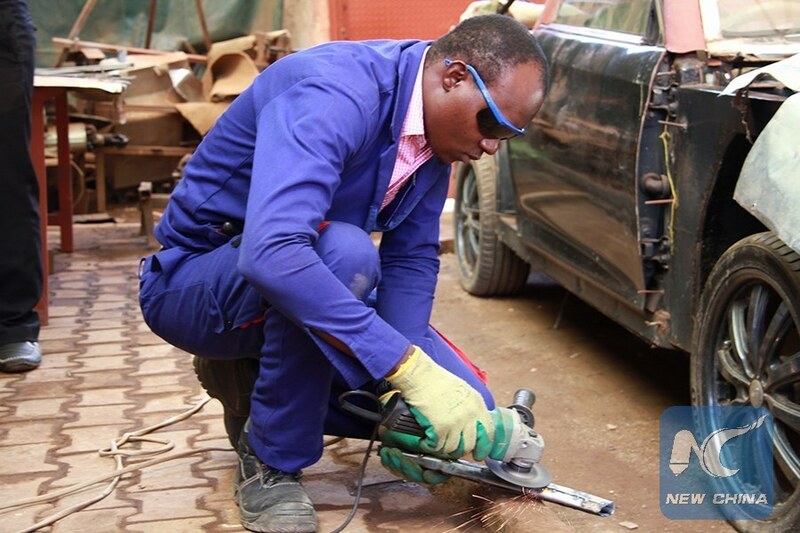 Allan Muhumuza, Vice President Marketing and Sales at KMC, told Xinhua in a recent interview that all these innovations show that it is possible for Uganda to develop a viable automotive industry. 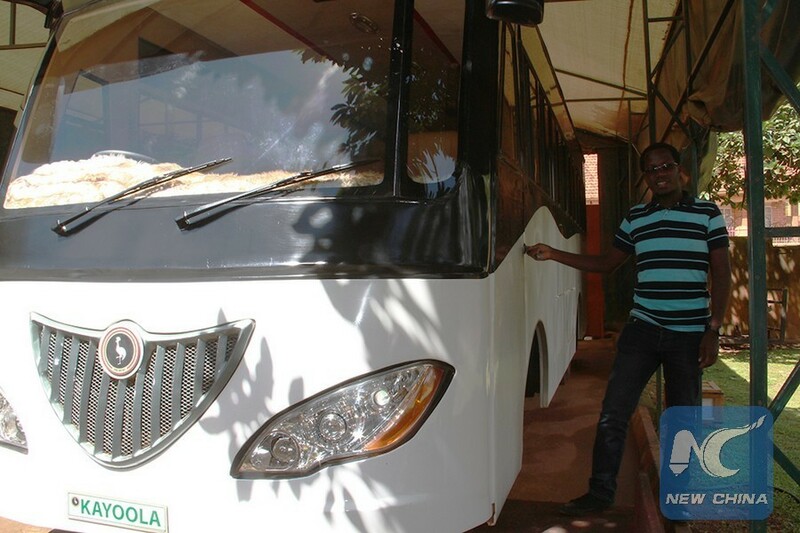 "We have developed the competencies and the necessary skills to be able to have vehicles on the road in Uganda. This should be able to create opportunities within the economy as we champion automotive development," Muhumuza said. Uganda imports about 50,000 vehicles annually, according to official figures. The number of vehicles imported into the East African region that brings together six countries has grown to over 250,000 and is expected to climb to 500,000 by 2030. The region's middle class is also growing, providing a wide market base for vehicles. It is this market that Uganda wants to tap into as it champions vehicle manufacturing. To kick start the process, government earlier this week approved a four-year budget of 144 billion shillings (40 million U.S. dollars) to help setting up an assembly plant. Site clearance in the eastern Ugandan district of Jinja has already started. KMC is also in advanced stages of getting a reputable international vehicle manufacturing company to partner with. "We are looking at the vehicle assembly and technology transfer," said Muhumuza, noting that the knowledge transfer is critical before the country can stand alone. He declined to mention the name of the companies KMC is negotiating with. The assembly plant is expected to have an installed capacity of over 5,000 vehicles per year. It will start with assembling and later advance into vehicle manufacturing. "As we advance, we project to have these vehicles quickly and as soon as possible. Even by the end of next year, we should have our vehicles plough the road as we do our market trials," Muhumuza said. Uganda is looking at starting with making buses and later move into pick-up trucks, sports utility vehicles and then sedans. 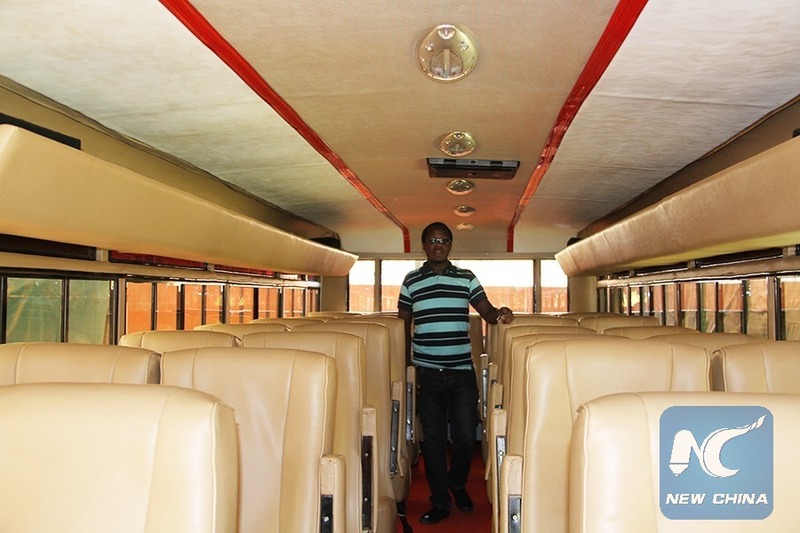 The reason for starting with buses is that it will have a major impact on public transport, said Muhumuza. The East African region depends on imported used vehicles mainly from Japan. Sales of new cars are low due to the high price and are mainly purchased by the government and international agencies. KMC is heavily relying on the government to have a favorable tax regime that will enable reduction in the number of imported used cars and promote development of the local automotive industry. The Ugandan government is already introducing a law to ban the importation of vehicles of eight years old or more from their date of manufacture. Neighboring Rwanda and Kenya have already implemented similar laws. East African is also pushing to start phasing out the importation of used cars by 2019. All these measures, fiscal and non-fiscal, are aimed at creating a conducive environment for the growth of the automotive industry. Uganda is optimistic that the car assembly project would stimulate investment in the production of among others car components, creating over 2,000 direct jobs and 12,000 indirect jobs. The government argues that the move will also fast track the industrialization process, noting that the country has a lot of minerals that can be used in vehicle manufacturing. "In Uganda we are endowed with a wealth of minerals deposits that are required in automotive manufacturing. We also have a number of local players that could easily expand their business model to incorporate supply for parts for the automotive industry as well as other services," Muhumuza said.